It has been a challenging year in the Alpha Quadrant. A new initiative from Starfleet Command has noted the importance of leave time for the well-being of its staff, so that personnel can relax and see their loved ones. This initiative has allowed many to take much needed time off, but it has left some factions concerned about the mass absence of a protective force and others seeing it as an opportunity. As strange vessels appear on the outskirts of the Quadrant, anxieties intensify. Sphere-Builder Presage (New) - this crew will be featured event crew in the event starting on 12/13. 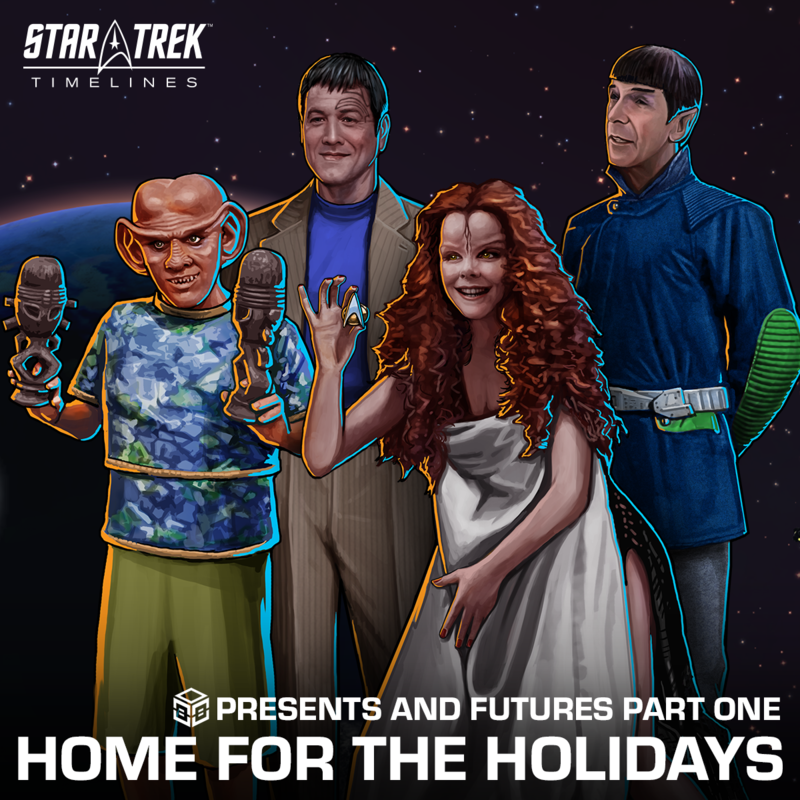 • small bonus: variants of Spock, Chakotay, Quark, and crew with the Pilot trait.